Co-Founder Dr. Lipa Roitman, a scientist, with over 20 years of experience created the market prediction system. 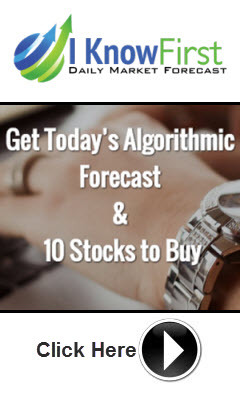 The algorithm is based on artificial intelligence, machine learning and incorporates elements of artificial neural networks as well as genetic algorithms to model and predict the flow of money between 2,000 markets from 3-days to a year: stocks, ETF's, world indices, gold, currencies, interest rates, and commodities. Nvidia is still worth betting on. The stock dropped almost 17% after earnings report on November, attributable to the demise of crypto-mining boom. Zynga’s average monthly revenue based on its quarterly report is only $74.25 million. Its recent acquisition of Small Giant Games can boost its monthly revenue by $16 million (+21.5%). Taking a contrarian view and buying AMZN while it trades below $1,400 could possibly turn out judicious. On the other hand, AMZN has negative market forecasts. Sustainable growth despite the intense competition. QCOM releases the first high-performance processor, marking the new era of economics and energy efficiency for operating a data center. Netflix enjoys a stratospheric valuation when compared to other technology tickers. Like Amazon and Facebook, Netflix is a growth-driven company. Unlike Amazon though, Netflix has made a successful global expansion. Five WealthTech Companies That You Should Know About was just posted to I Know First Research's personal blog. I Know First Weekly Newsletter - 30 December 2018 was just posted to I Know First Research's personal blog. The traditional understanding of what a financial institution does and the function it serves in wealth management is undoubtedly changing. AI is a hotly debated topic. Especially with the entrance of AI into the home with the likes of AMZN Alexa and AAPL Siri.I Know First provides an AI product that boasts successful performance market forecasting and wealth solutions. While the streaming market is growing as more consumers consume content and more competition is entering the space, Netflix will maintain its grasp on subscribers through its continued focus on original content. Nvidia is still worth betting on. The continuing growth in gaming revenue can make up for the lack of demand from crypto-currency mining. The reliable release of new, better versions of Microsoft Office is a good reason to hold on to your MSFT shares (or buy more). Desktop Windows and Office software products are no longer the main source of Microsoft’s profits. The stock could drop further but going long on MU is recommended for long-term investing purposes. Micron’s revenue/net income growth will slow but the company’s long-term prosperity is assured.